Each Pedestal and Flag Case is constructed with miter joints, and can be accessed from the back panel for easy setting up of your display. Able to fit 3ft x 5ft flags and 5ft x 8ft flags, this useful case – also known as a casket flag display case – is hand-crafted and made with love by a U.S. military veteran. Created to house and display internment flags, this Pedestal and Flag Case allows you to honor your hero year-round. U.S. interment flags are made with embroidered stars, sewn stripes, brass grommets, and white headers. This special flag is traditionally displayed on top of a casket, at a funeral, in memory of a respected veteran’s military service to the United States of America. All veterans who have served in the military service except for those who were under dishonorable discharged are privileged to having a U.S. interment flag displayed on their casket. The folded US Interment Flag is often displayed in the home or at the office in a wooden flag memorial case that is made specifically for preservation and beautiful display. This attractive Pedestal and Flag Case is designed with striking angles that seamlessly incorporate the internment flag case with the pedestal. The result is a modern design that accentuates the personalized engraving below the flag itself. 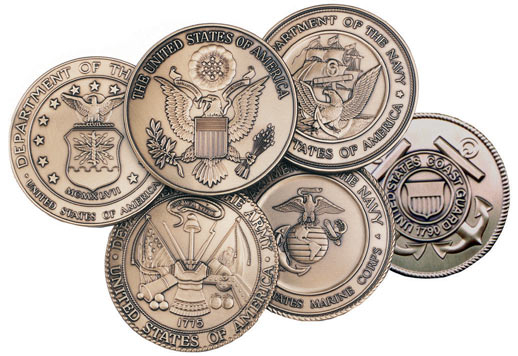 We can also add an engraved DOD (Department of Defense) seal on the plate, as shown in the picture. As with our other military flag display cases, only the best hardwoods are used for our products, featuring red oak and walnut casings. We do not stain lesser-quality wood just for appearance, as we believe that using the best quality hardwoods produces the best quality product. Why settle for less for the one of the more important display cases in your home or office? The handcrafted, precision construction means that this Pedestal and Flag case will last for generations to come. Each case is constructed with miter joints, and can be accessed from the back panel for easy setting up of your display. We can also add an engraved DOD seal on the plate, like shown in the picture. The case is Hand crafted. And Made with love by a Vetren !! !